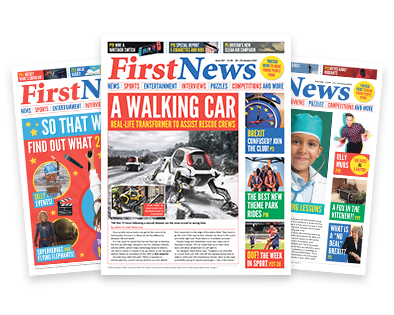 First News is a weekly newspaper aimed at 7 to 14-year-olds that aims to get kids talking about the news in an easy to understand and non-threatening way. 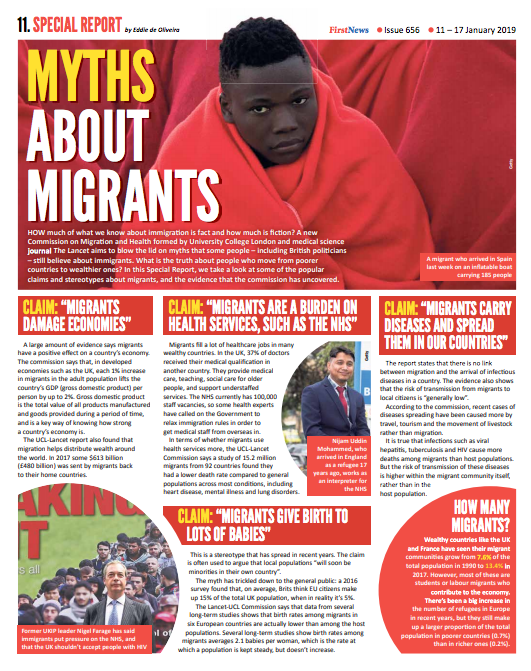 We cover issues which are relevant to children and which specifically affect them. 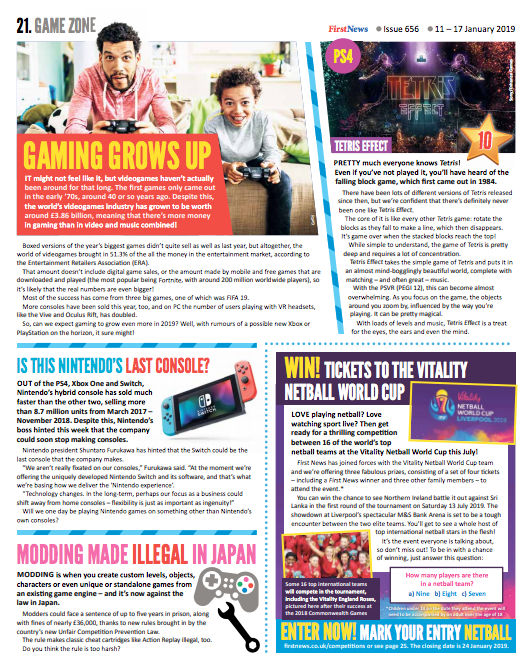 Inside you’ll find a mix of world news and UK news, but also loads of fun stuff, such as entertainment, games, animals, sport and puzzles. News is all around us and children pick up on news wherever they go. But not all news is bad and we passionately believe there are lots of positive stories out there. 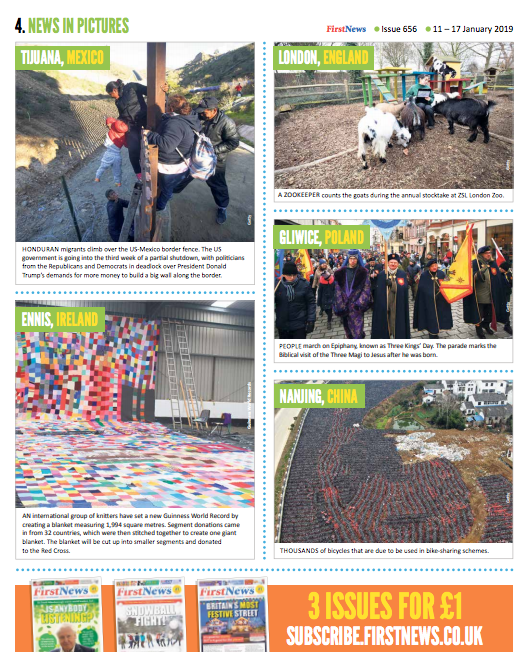 We love to cover the nice news too and celebrate what is good about the world. 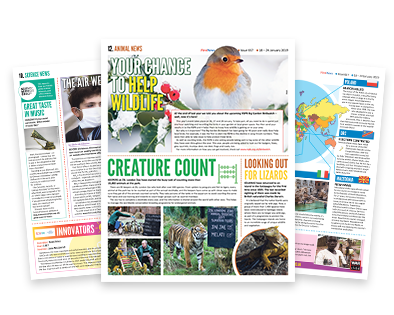 Children and parents love the bright, colourful format and fascinating pictures that support the stories. The articles are just the right length to keep children’s attention. 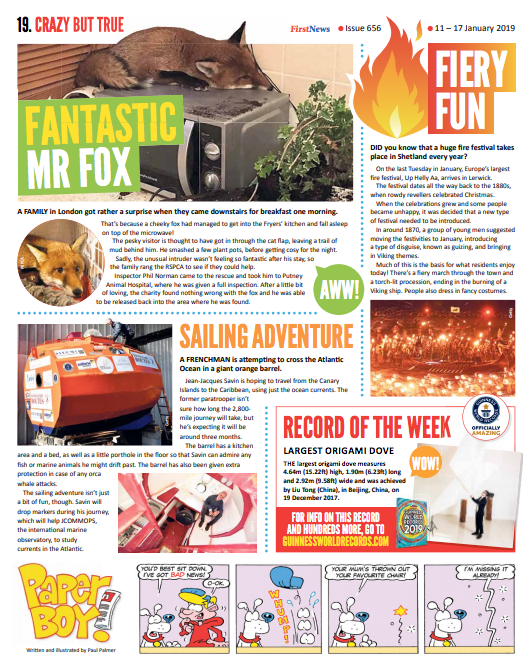 And it looks like a newspaper – this goes down really well with kids! 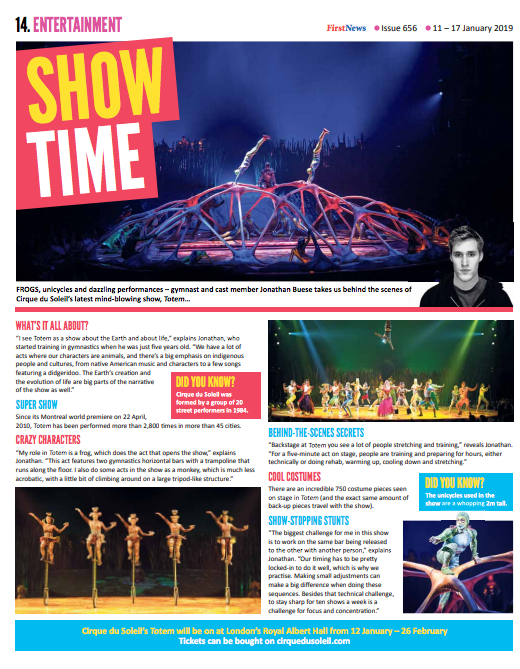 Inside the paper every week…. 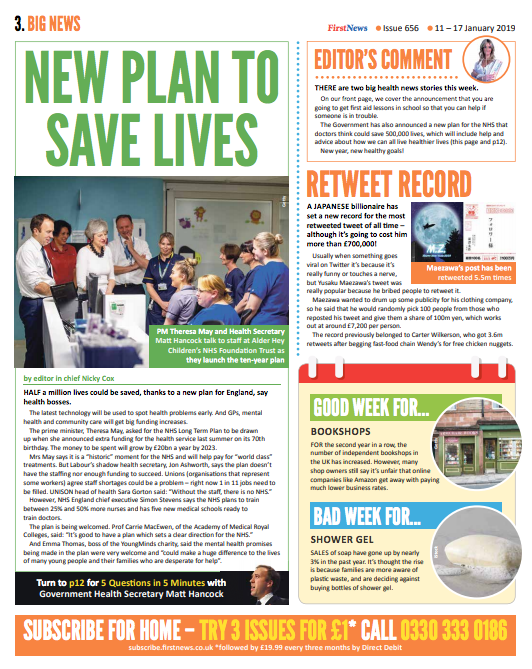 Punchy facts about the week’s news – the children will know ahead of you. Covering the big weekly stories responsibly. Fascinating pictures of the week’s events which get children talking. 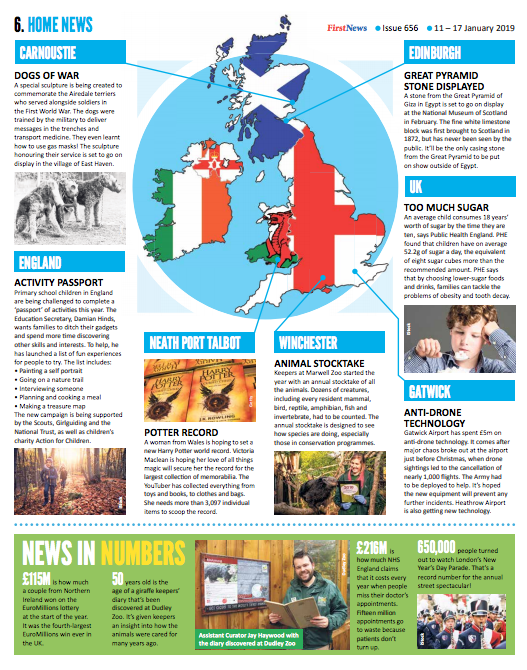 Coverage of news stories from around the UK. 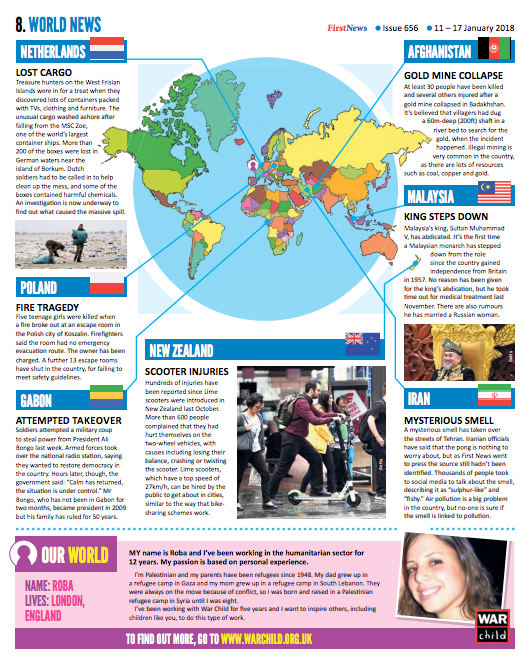 Covering the big stories from around the globe, with a colourful map to show where in the world they happened. 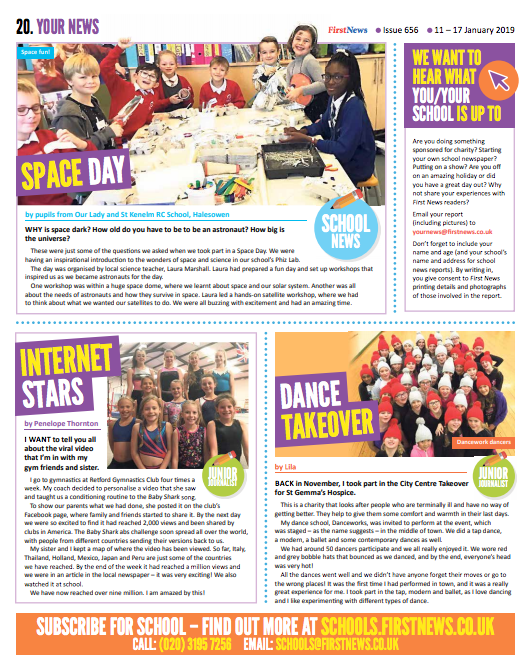 An insight into upcoming events for the week, and key dates for your diary. 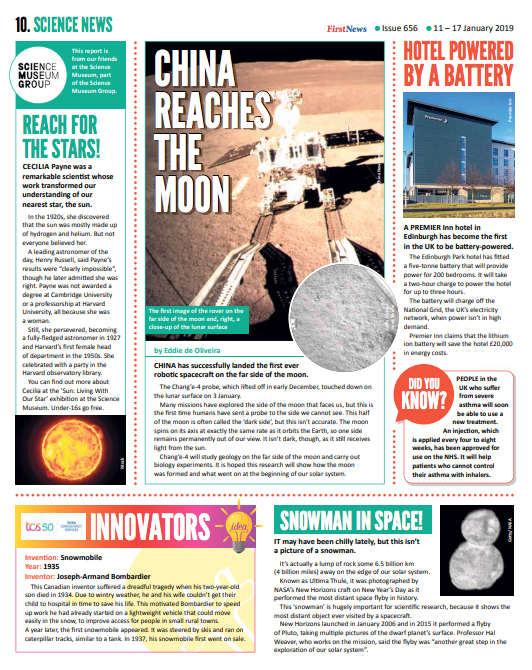 Fast cars, fantastic inventions, climate change, space exploration – it’s all covered here and with weekly updates from our friends at the Science Museum. This is where we really explain a complicated news story or relevant issue. Even the adults love this! 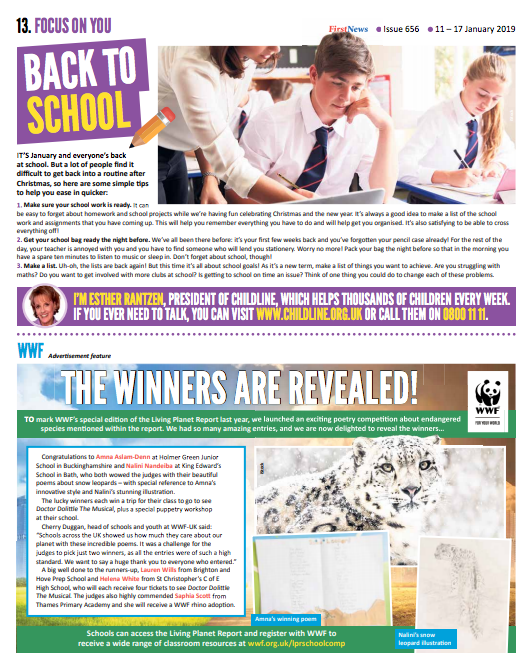 Childline ambassadors share their well-being advice. The latest film releases, new TV shows and showbiz updates. 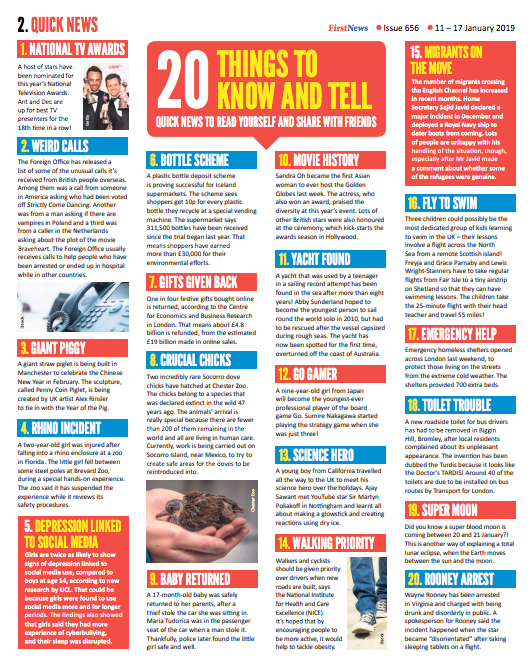 Kids love to know before their friends – read it in First News first! 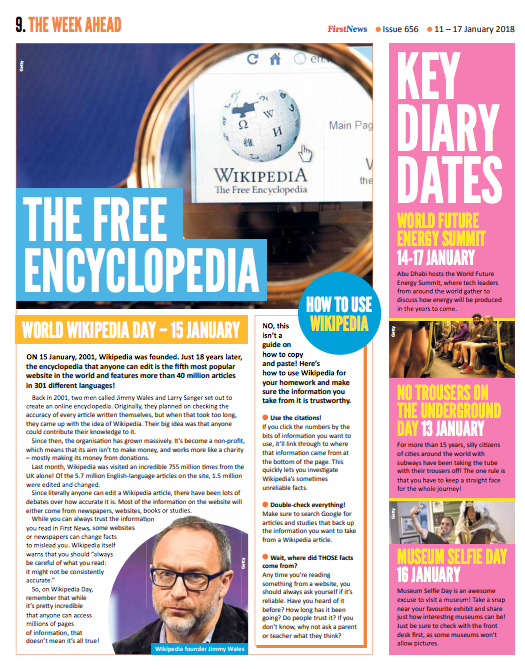 We get exclusive access to some of the top names in entertainment, sport, politics and more. 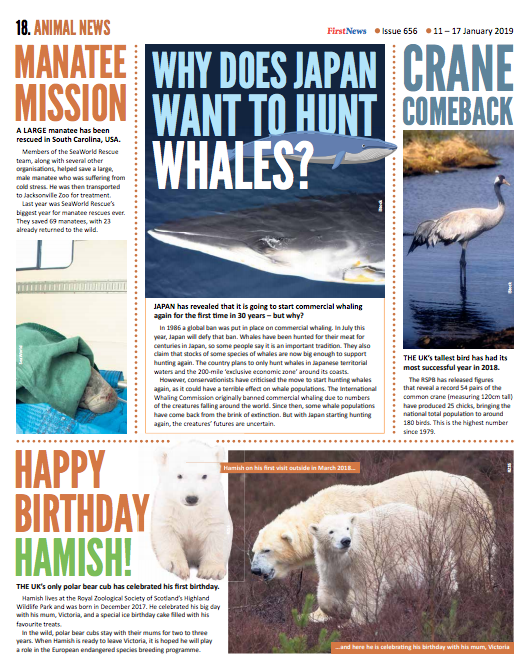 Every child loves a cute animal, so this is where they can feast their eyes on our stories from around the world. Crazy stories you couldn’t even dream up, but they get kids talking! Our readers report on their own news and have the opportunity to see it in print. An exciting look into the latest video game news and reviews. 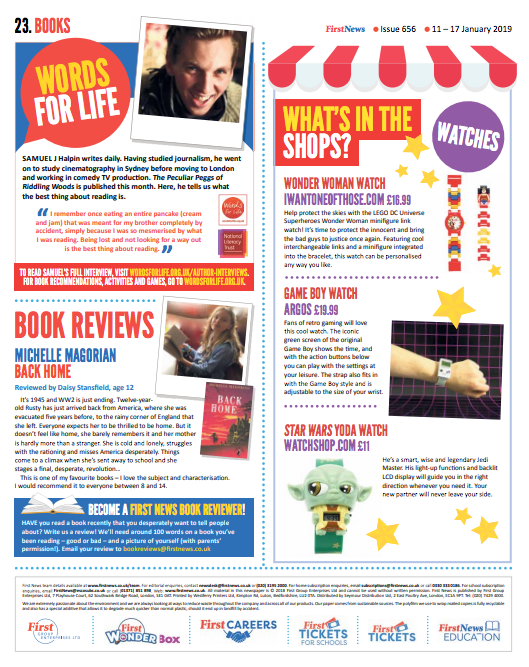 Interviews with authors, latest book releases and even reviews from our young readers themselves. 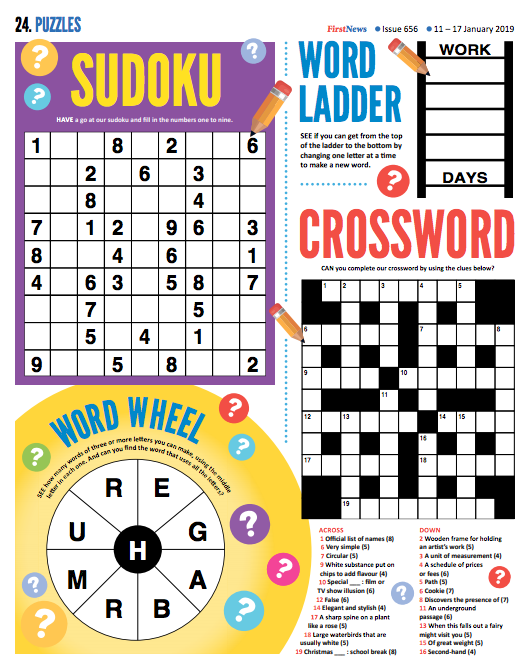 Sudoku, crosswords, spot the difference and more. 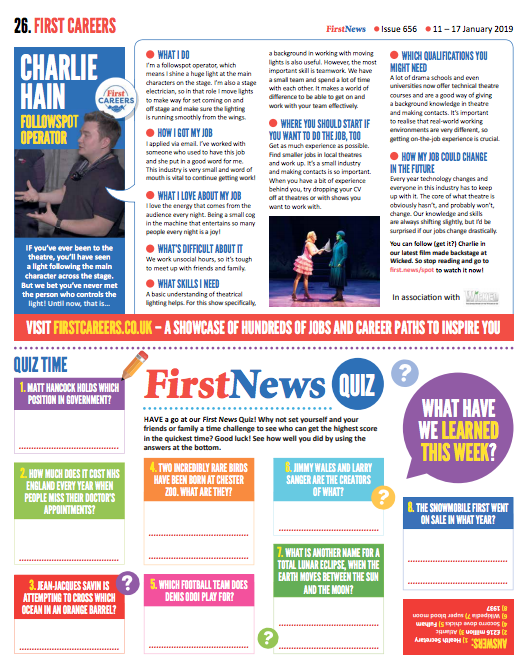 With First Careers you can get behind the scenes of some of the UK’s most interesting jobs and find what’s right for you. 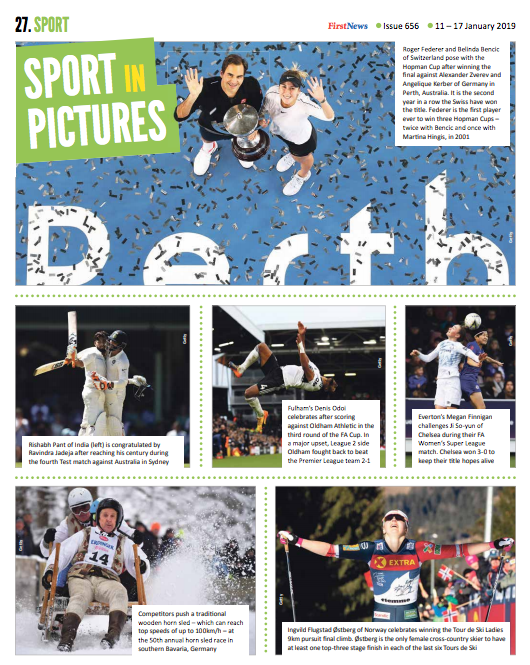 All sports covered and lots of interesting facts.